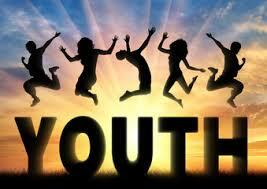 A youth is someone who is not a child anymore and is yet to enter adulthood. At this age, most youth possess the curiosity and excitement of a young child and knowledge of an adult. The future of a country is dependent on its youth. Thus, a lot of emphasis should be given on nurturing the children in the right way so that they turn into a responsible youth. Youth are the hope of tomorrow. They are one of the most energetic segments of the nation and thus there are high hopes from them. With the right mindset and ability the youth can contribute towards the development of the nation and take it forward. Around 65% of the Indian population consists of youth. There have been numerous talented and hard working youth in our country that has made the nation proud. The young generation in India is enthusiastic and keen on learning new things. Be it in the field of science, technology or sports – the youth of our country excels in every field. Why to Empower the Youth? To help them attain knowledge and skills for their personal and professional growth. To bring out their hidden potential. To sensitize them about the problems in the society and to educate them on how they can contribute towards eradicating the same. To enable exchange between youth belonging to different parts of the country as well as different nations. The human civilization has evolved over centuries. Each generation comes up with its set of ideas and opinions and contributes towards the development of the society. However, while the human mind and intellect has developed over the time people have also grown quite impatient. 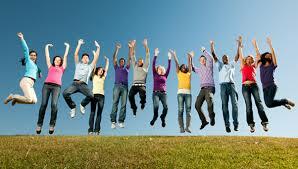 The youth today possesses talent and potential however it can also be termed as impulsive and impatient. The youth today is keen on learning and exploring new things. Now, while they may seek the word of advice from their elders they do not want to be guided by them at every step. The young generation today is in haste of accomplishing different things and is so driven towards achieving the end result that it doesn’t pay attention to the means it chooses. While there have been several advancements in the field of science, technology, mathematics, architecture, engineering and what not, we cannot deny the fact that the crime rate has also increased over the time. Today, there is more violence in the world than ever and a major part of it is attributed to the youth. It is the duty of the parents to nurture their children and help them become good human beings. Teachers also play a major role in building the youth of the nation. They must take their responsibility seriously. By nurturing honest and committed individuals they are building a strong nation.